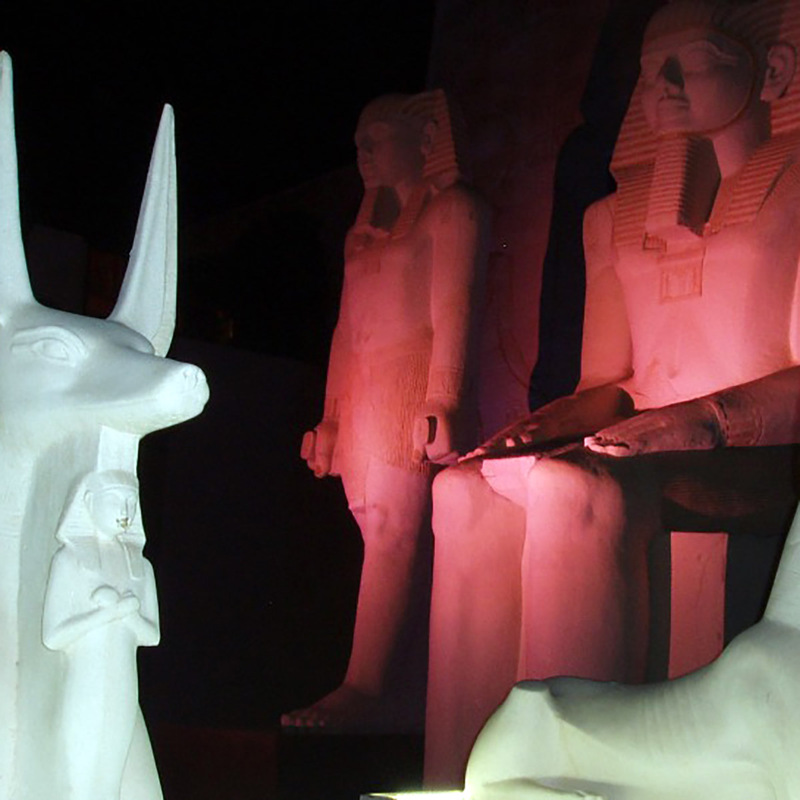 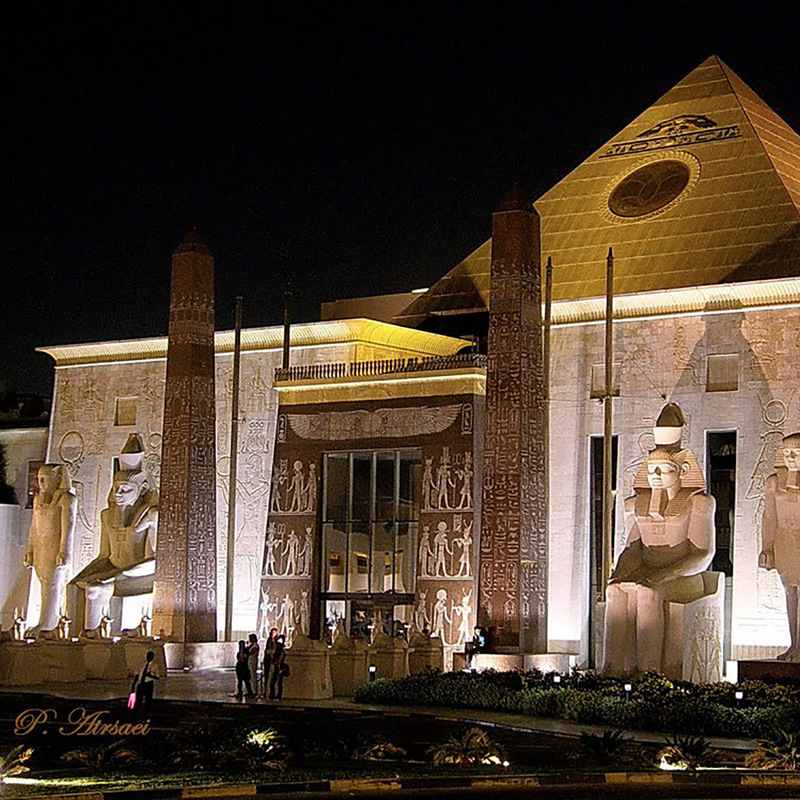 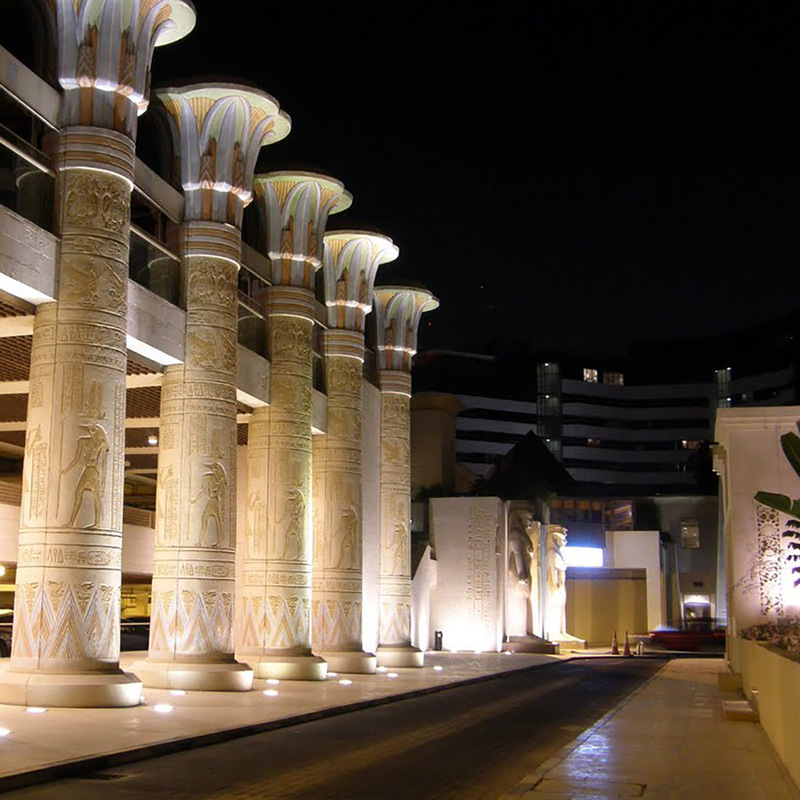 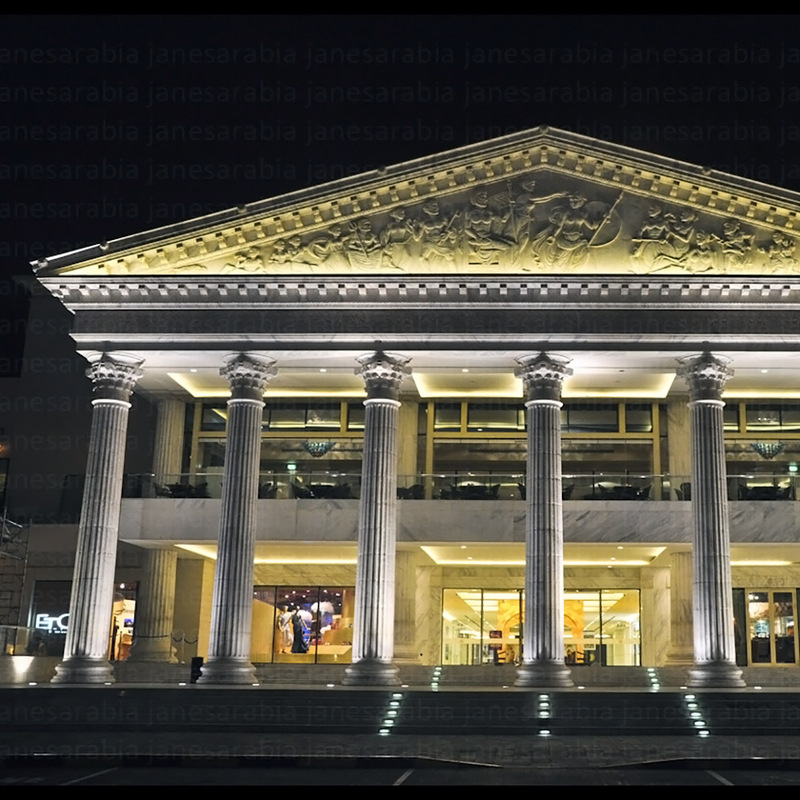 Lighting consultancy to provide lighting drama to the Egyptian styled exterior and to fundamental elements of the mall including the Egyptian idols. 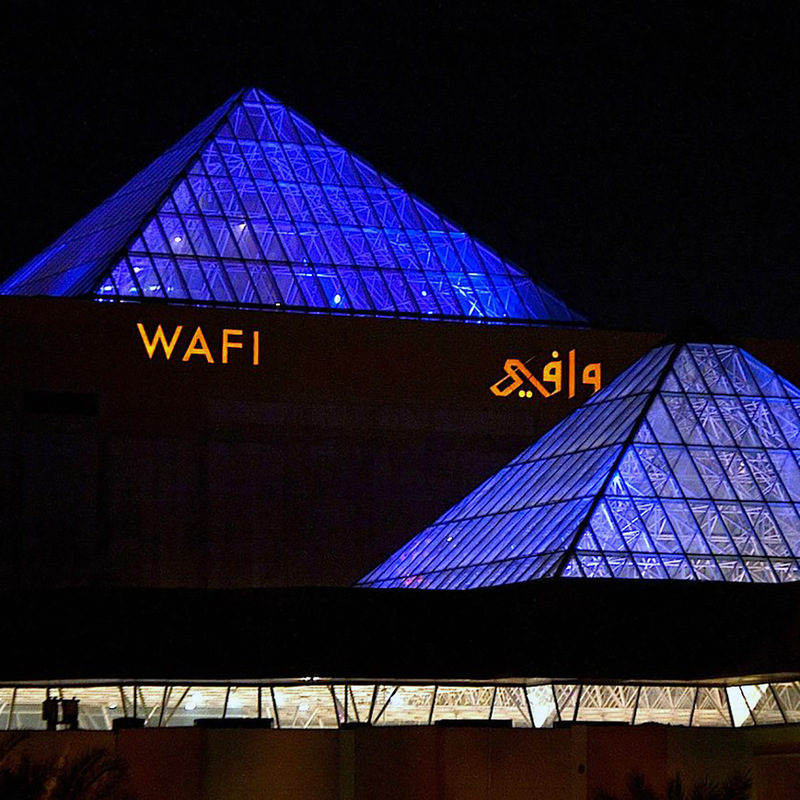 Artificial lighting is used to illuminate the coloured and patterned glass pyramid skylight feature at night to replicate the day time effect. 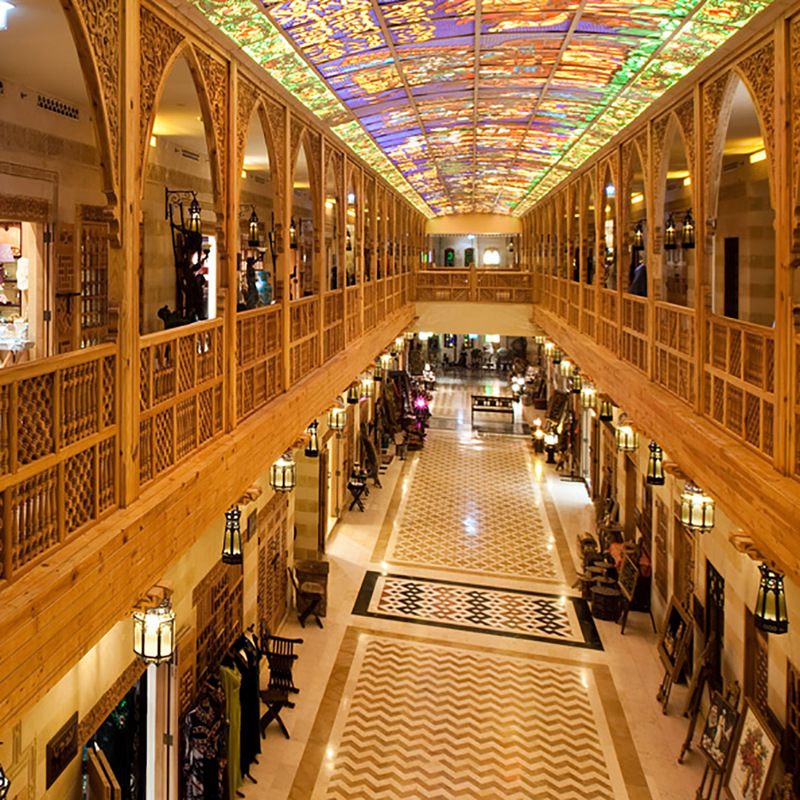 Old style light fittings are custom made to provide modern energy efficient light from traditionally styled luminaires.